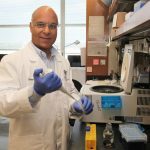 A team of three Georgia Cancer Center researchers is taking the next step towards finding a future treatment option for colorectal cancer, the third leading cause of cancer-related deaths. Their work centers on IG-7, a compound they created in the lab almost two years ago. 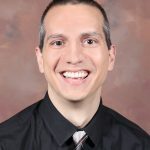 Now, thanks to a National Cancer Institute (NCI) small business grant, they are beginning to test IG-7 in mice with the eventual goal of creating clinical trials for human patients. 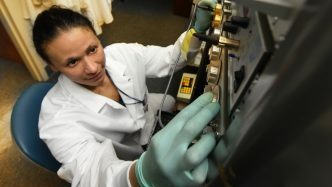 “Our major goal is to develop a novel small molecule that can activate the immune system of the cancer patient, particularly the T cells in colorectal cancer patients, to eradicate tumor or at least to keep the tumor under control,” said Dr. Kebin Liu, a researcher in the Department of Biochemistry and Molecular Biology at the Medical College of Georgia at Augusta University. Colorectal cancer is expected to kill around 50,600 people in 2018. 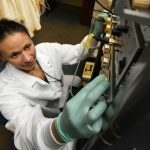 According to Liu, while the use of immunotherapy treatments, such as Keytruda and Opdivo, has benefitted patients with different forms of cancer, including melanoma, lung cancer and renal cell carcinoma, only about four percent of colorectal cancer patients respond to current immunotherapy treatment. In 2016, the researchers created CheMedImmune Inc., a biotech startup, to develop new treatment options that will enable immune cells to attack tumor cells. To accomplish these two goals, Lebedyeva, Liu and Chunwan Lu, an assistant research scientist in Liu’s lab, are collaborating with two biomedical engineers at Boston University, as well as a medicinal chemist at the University of North Carolina at Greensboro. 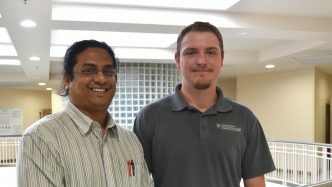 The team is developing a nanoparticle that can attach to the lead compound to improve the delivery route for the compound and increase its absorption inside the body and effectiveness. 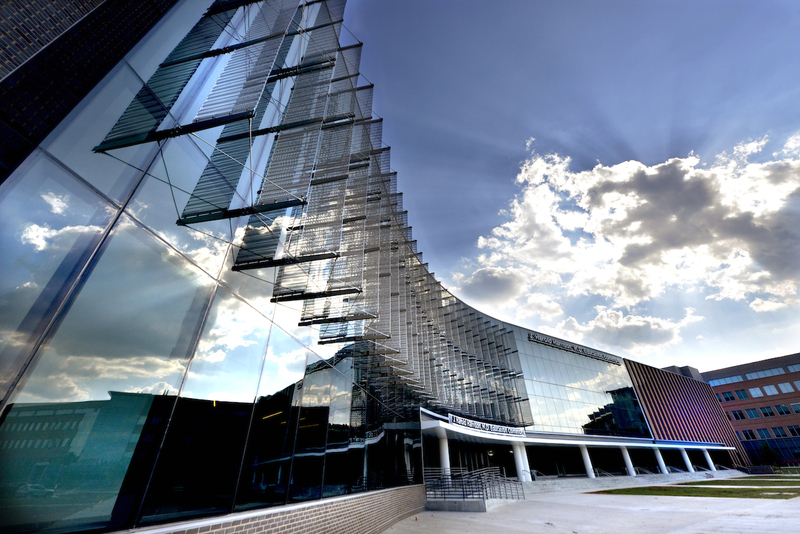 CheMedImmune Inc. is currently renting a lab space in Augusta University’s Biobusiness Incubator. 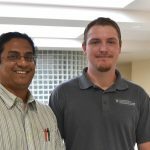 They have hired an MBA student from Augusta University to work on developing commercialization routes for their portfolio of intellectual property in the future. Right now, the team is working with mouse models, but Lu, Liu and Lebedyeva say their ultimate goal is to help human patients with resistant types of colon cancer. The development of new cancer therapeutics can take years or decades and require investment from private companies. In fact, statistically less than five percent of cancer drugs currently being studied and developed will make it to the marketplace. This is why the grant the team received from the NCI provides such vital support during the early stages of the drug development process. 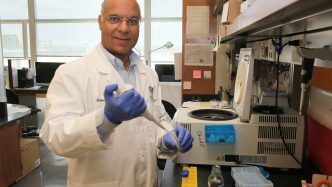 This type of governmental funding secures seed money allowing researchers to carry out studies on the negative effects a novel chemical entity can have on the body, as well as what happens to the compound from the time it is injected into the body to the time there are no longer traces found in the body.